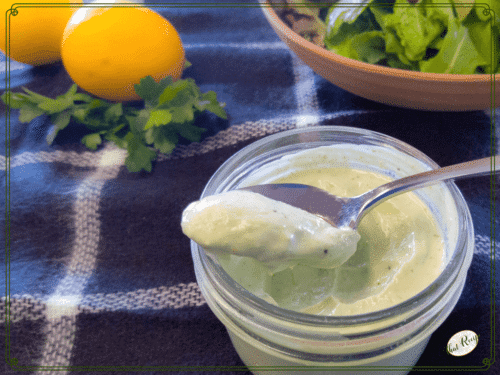 This creamy Lemon Herb Salad Dressing uses fresh herbs and preserved lemons for a burst of flavor that mixes up in less than 2 minutes. 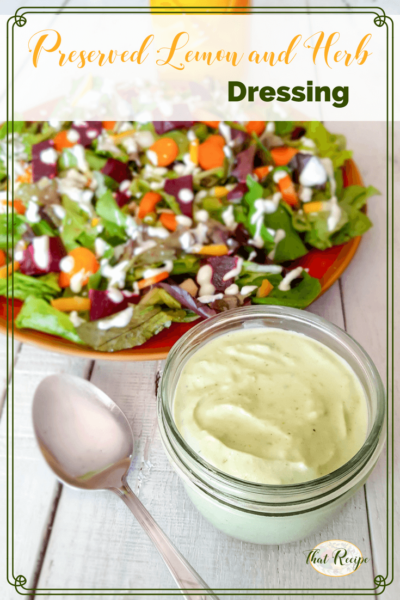 Take that preservative laden bland bottled dressing! What in the world are preserved lemons? I asked the same thing when I first saw a recipe calling for them. They are simply lemons preserved in salt which ends up making them taste like lemons on steroids. They are used quite a bit in Mediterranean cooking (Moroccan, Lebanese, Israeli, Algerian, etc. etc.). 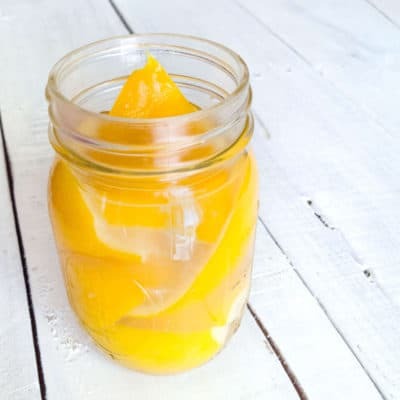 And they couldn’t be easier to make, just cut the lemons in quarters without going all the way through, add some salt and pack them in a jar to brine for a few weeks. The lemon juice softens the lemon peel and the salt draws out the water leaving you with an intense lemon flavor. And they last an incredibly long time. You can get detailed instructions for making them on NPR here. How else would I use preserved lemons? Chicken Tagine (chicken with lemon and olives) is probably the recipe most Americans would associate with them. The NPR link has a few other ideas. And, I even read on another page about using the brine to make Bloody Marys. And I will be working on a North African sauce using them later today. Keep an eye out on my social media channels to see when that one publishes if you are interested (links up there on top). But I don’t have preserved lemons, can’t I just use regular lemon? Sure, I even added a note at the bottom of the recipe to explain how I would change it. The flavor might not be as lemony, but it still works. Rinse the preserved lemon to remove some of the saltiness. Add all ingredients except milk to a blender or food processor. Blend until smooth. Thin with milk if needed. 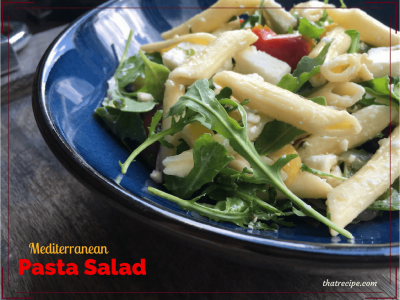 Serve immediately or let sit for at least 30 minutes to intensify the flavors. If you do not have preserved lemon you can substitute the zest of 1 fresh lemon and 1/4 teaspoon salt, plus use the lemon juice for thinning. Would you like to join us a co-host? The blogger that was supposed to join us in April has decided to leave blogging (hopefully just temporarily). Previous Post: « We are Crazy for Carrots on #HappinessIsHomemade This Week! I hope your week’s gotten off to a great start! Thanks for hosting!